Coming from Los Angeles we find Kama Sutures, a band that looks to heal and create new doorways to music through their music. A 3 piece band currently that pushes a vibe of 90s alternative rock and avant-garde imagery and fashion to create an unusual yet inviting experience. 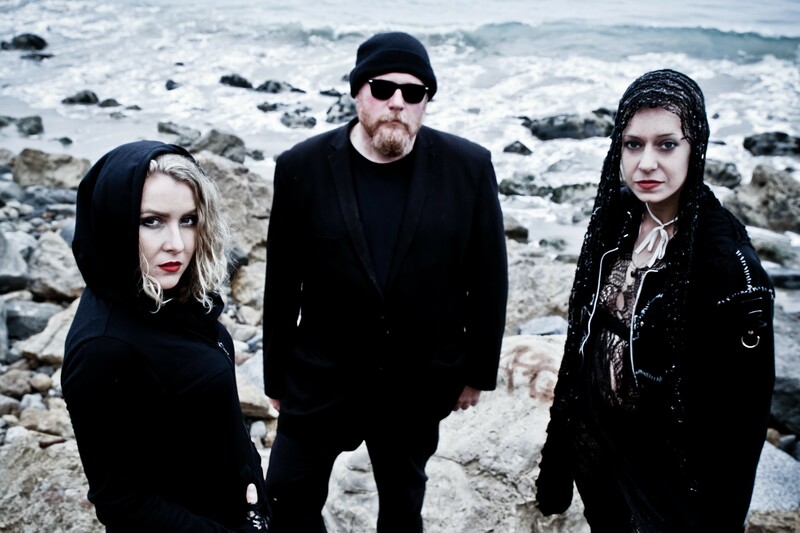 Engineer and guitar player Mattrix, along with the dynamic vocalist Francesca sat down with me recently to discuss their passion for music and how their roots were always entrenched in the audible art that is music. Mattrix’ statement may have been the shortest but it was also the most understandable to a guy like me who has practically been so involved with music all his life. Either way I know these two are something special just from those opening statements. Things can only get better from here I think. 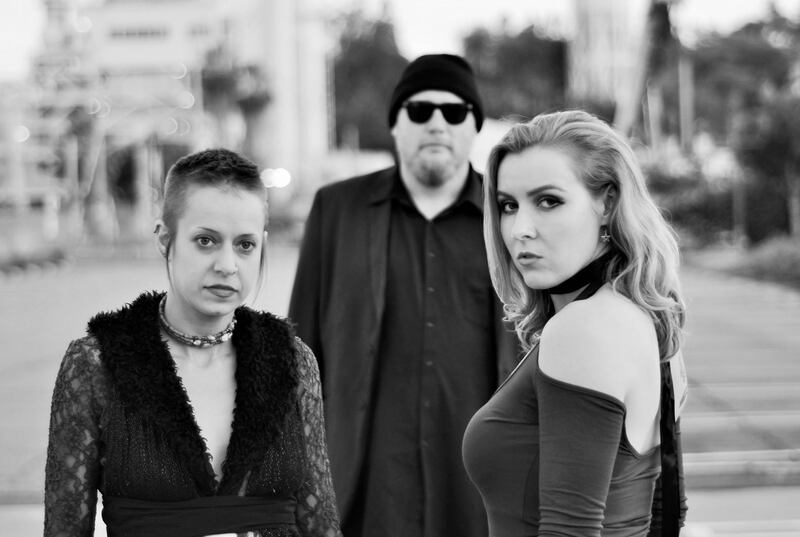 Naturally one look at the band can perplex many a passerby on Facebook or various social media, but one listen to Kama Sutures music can take you to a world of unique vocals, heavy instrumentation and body work focused on an almost 90s feel with a touch of that avant-garde that creates great music. According to both Francesca and Mattrix, they are all over the place when it comes to musical taste and a bit of everything inspires them to push creative boundaries and put songs out there that can be left up to the listener to derive their own meaning from. A note on Francesca’s vocals especially on a song entitled ‘Dead Leaves’ she really shows her Opera influence as her vocals rise and fall in a almost perfect structural manner. Mattrix’ ability to change up the timing and guitar from track to track as well is nothing short of an amazing feat. When considering but two of the three elements that make up Kama Sutures, it’s very easy to see and hear that they will no doubt go to interesting places in music and create some great visual experiences for live shows and music videos as well. While I couldn’t fit all the laughs and questions, I would like to thank Kama Sutures for bringing this article together and being good sports when it came to my random questions. Also a big shout out to their manager Doug Newville who was able to get us scheduled for a video interview, that’s a Contrast Control first! At the end of this interview the one thing to take from it all is: Don’t be afraid to venture out and listen to something that may sound weird or even uncomfortable to you, you don’t know what you’ll like until you give it a try. Let’s all welcome Kama Sutures into the Contrast Control Family and keep on rocking ‘til the next article! Contrast, Control, Feature, Heal, Health, Interview, James, Kama, Mend, Music, Sutures, West. Bookmark.